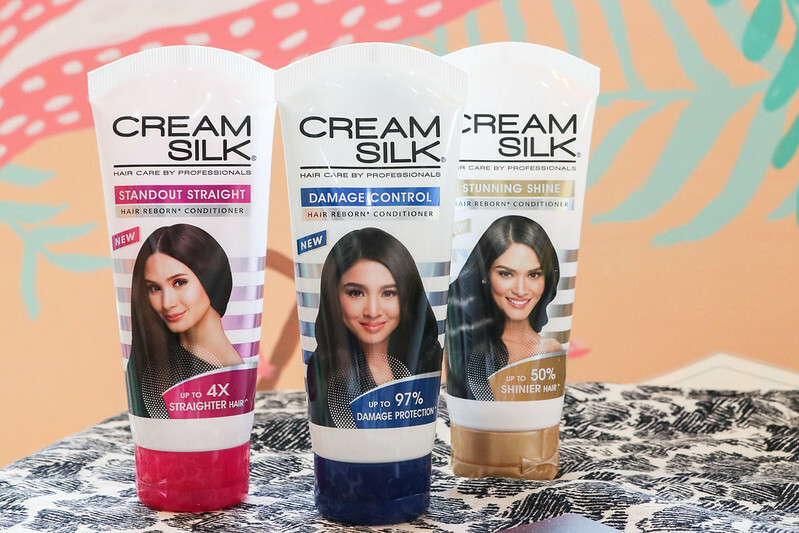 Have you heard of Cream Silk's most beautiful transformation yet? 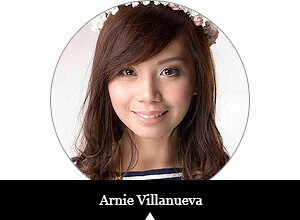 Every Modern Filipinas' hair needs will be addressed through their Customized Solutions' new formulation and look. Whether your crowning glory suffers from hair fall, dullness, dryness, dandruff, and unwanted color, you have the #PowerToTransform and achieve your hair goals. Cream Silk has always been my trusted conditioner brand for years. I've tried using different brands before but end up switching back to Cream Silk the day after. 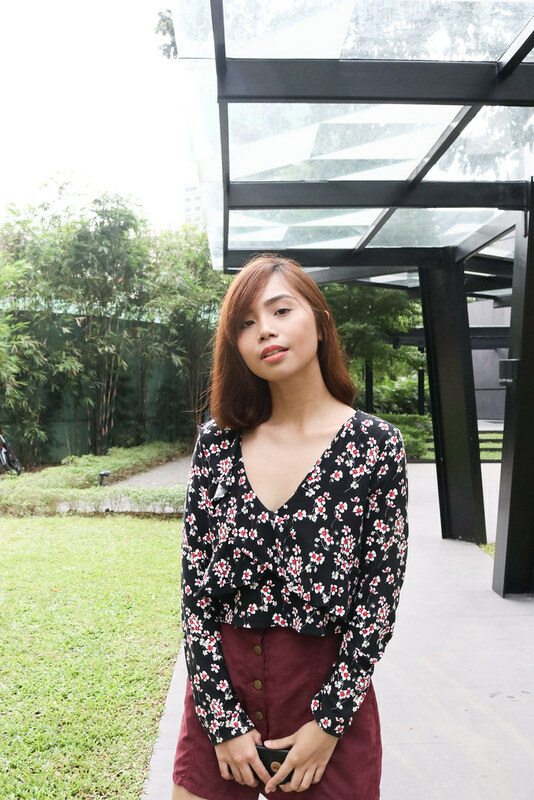 Since college, my hair's always exposed to heat, coloring and styling tools, making it frizzy and prone to breakage. I've been using the Standout Straight variant daily to help control unruly hair. Indeed, it instantly makes my hair straight and beautiful! Interestingly, their Hair Profiler led me to the Dry Rescue variant. I picked "nourished, straight, shiny, and protected from damage" and the system recommended that for my concerns. Trying that one immediately! 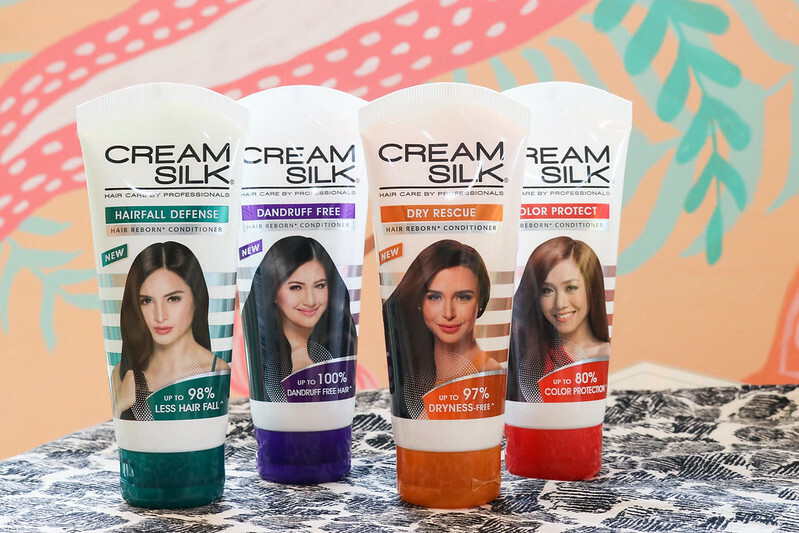 Along with its reformulation, Cream Silk also transformed to its new look with their powerful endorsers on the packs. Heart Evangelista (Pink), Coleen Garcia (Green), Nadine Lustre (Blue), Pia Wurtzbach (Gold), Yassi Pressman (Orange), Julie Anne San Jose (Violet), and Rachelle Ann Go (Red). With their own stories of transformation, these celebrities serve to epitomize the Cream Silk woman, and to empower other Filipinas to believe that they, too, can become the best they can be.